The Global Climate Action Summit served as a launchpad for deeper worldwide commitments and accelerated action from countries—supported by all sectors of society. Speakers included Al Gore, Alec Baldwin, Harrison Ford, and mayors and governors from across the country. 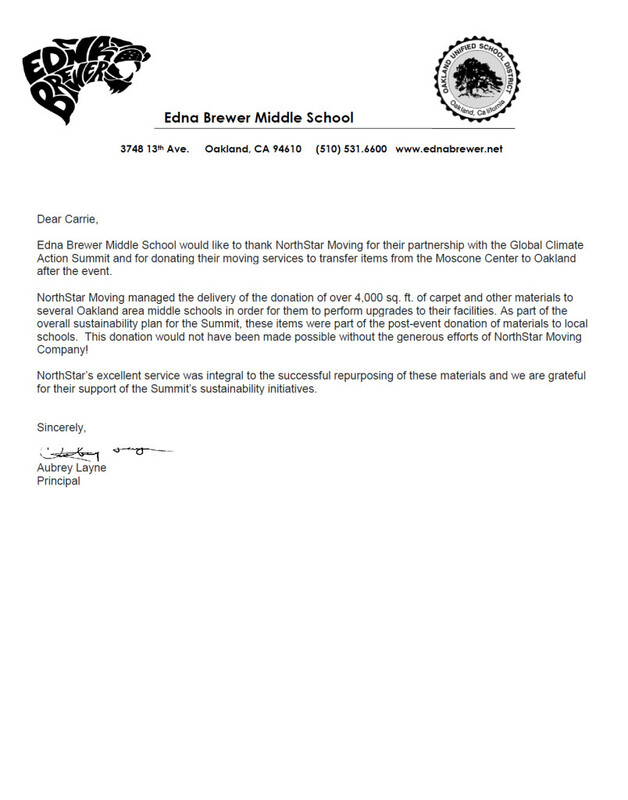 We were honored to receive a thank you letter from the Edna Brewer Middle School. NorthStar Moving delivered donations from the event to the school.